The range of products catering to home décor, available at @Home furnishings also includes the product that includes a planter and a tray, bought in the same purchase. Available in an orange colour, the planter has a depth of 10 cm with a length and breadth of 21 cm and 17 cm, respectively. The planter and tray are made to resemble a cup and saucer pair. The tray looks like a saucer and is completely orange and the planter has a handle resembling that of a cup. 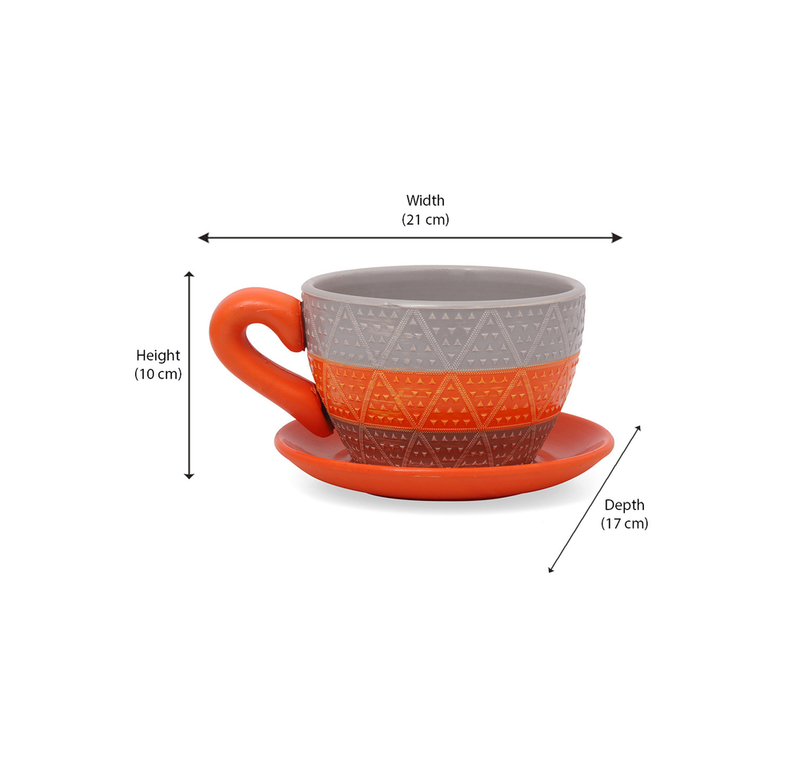 The body of the cup has bands of gray and red and to spice things up, and geometric patterns line the outer surface. Both items are made of terracotta and need to be delicately handled. The orange planter and tray gives a much-needed splash of colour to a modern household that can often be drab. The terracotta adds a sense of earthiness to the surroundings. By growing a plant in this planter you can have your own mini garden and improve the aesthetics of whichever room you put it in. Be it your living room, bedroom or washroom the planter adds a quaint charm to the ambience of any given setting.